The Central Board of Secondary Education announced the result of Joint Entrance Examination – Main (JEE Main) today. The result has announced for both the papers i.e. Paper I and Paper II on the official website. Therefore, all the interested candidates open the tab of the website and check the results now. As per the official website, the result will be announced today, however, timings have not been confirmed by the officials. But, now, all the candidates who have appeared for the examination can check. Students can also check their results at http://www.cbseresults.nic.in. As soon as the result gets uploaded, candidates would also able to know their rank secured in the examination. Reportedly, this year, around 14 lakh candidates had appeared for the JEE Mains entrance examination to take an admission in the various technical courses in the country. The result is announced for both types of candidates, either who have appeared for the offline exam or for the online exam. 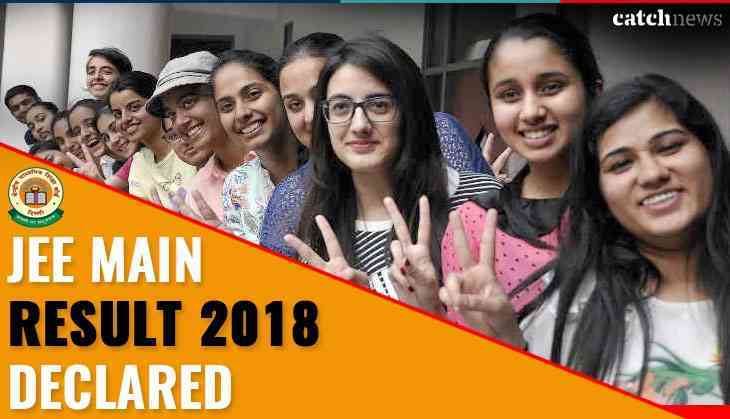 However, CBSE had already released the answer key and recorded response for the offline examination on 24 April, which was held on 8 April 2018. The opportunity for downloading your answer key was till 27 April. According to the reports, this year the cut off might be between 95 to 100.